It’s worth reviewing this precise chain of events. Trump fired Comey on Tuesday, May 9th, 2016. 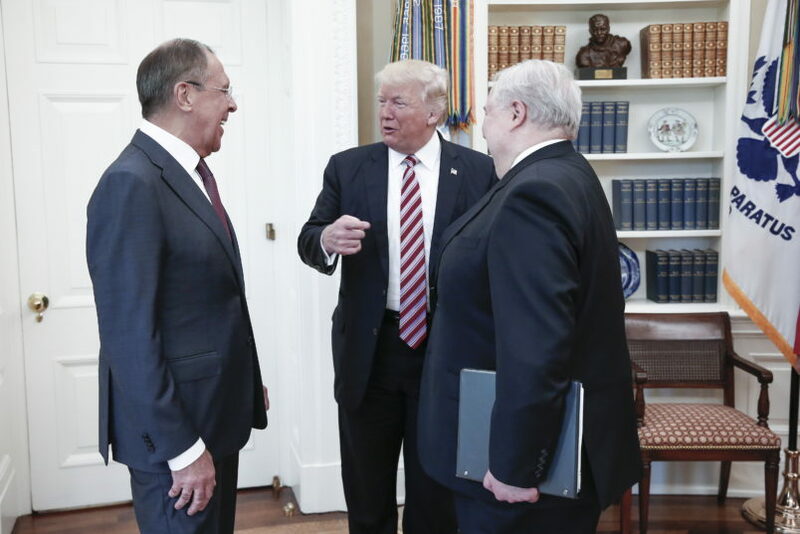 The following day, May 10th, Trump received Russia Foreign Minister Sergei Lavrov and Russian Ambassador Sergei Kislyak in the Oval Office. US press was barred from the event. But the Russian state news agency TASS was invited to cover the meeting. The photos that were later released came out of Russia. At the meeting, Trump told Lavrov and Kislyak that he had just fired Comey and that this had removed the “pressure” he was under because of the FBI investigation into possible Trump campaign collusion with Russia. “I just fired the head of the F.B.I. He was crazy, a real nut job. I faced great pressure because of Russia. That’s taken off,” Trump told the two according an internal government summary of the meeting based on notes taken during the meeting. The Times article says that FBI agents felt ‘validated” in their decision to act so quickly and decisively when these quotes from the President surfaced. This makes it seem like this wasn’t itself part of the decision but vindicated the decision later. But that may be a bit misleading. The summary of the discussions was first revealed to The New York Times nine days later on May 19th, presumably after the FBI had already kicked off its investigation. It seems plausible that the FBI would have had access to this information before the Times. But if we take the Times’ reporting from last night on its face, they only learned what the President said after they started the probe. Even if that’s the case, which I assume it was, the fact of the meeting itself, held at President Putin’s request and with no US press allowed would have raised alarm bells throughout the US intelligence and counter-intelligence worlds and almost certainly figured into the decision to launch the investigation.